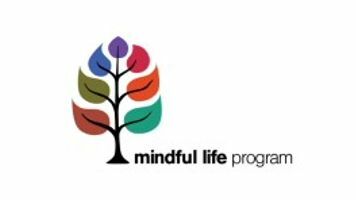 The Mindful Life Program is now offering an online course—The Four Keys of Living Mindfully—with John Bruna, author and co-founder of the Mindful Life Program and the Mindfulness in Recovery® Program. It’s available to start anytime, is self-paced, and offers unlimited access. The Four Keys of Living Mindfully supports the development of practical skills for living with attention and intention in your daily life. No prior experience is necessary, though if you have been practicing mindfulness and meditation, this course will deepen and enhance your practice. In the course, John invites you to discover your own values and determine a daily program that sets a course toward a more enriching and meaningful life. Mindfulness is the ability to be present to enjoy every precious moment with clarity, discernment, and wisdom in alignment with your own values; to be able to experience a meaningful life consciously rather than be a prisoner of your own habits and unconscious conditioning; and to respond in a beneficial way to challenges that arise in life in order to achieve resiliency and genuine well-being. This course offers practices in The Four Keys (Attention, Values, Wisdom, and an Open Heart) and includes eight 30-minute video sessions, the Course Guide and Companion Journal, 28 days of meditation training and support in a downloadable audio format, and a library of guided meditations. The Four Keys of Living Mindfully is available now at www.4keysofmindfulness.com. The introductory rate is $119, and participants have unlimited access to the course and the resources. Questions? Call 1.970.633.0163 (USA) or email welcome@mindfullifeprogram.org.